I thought I'd post a few photos of the assembly process. 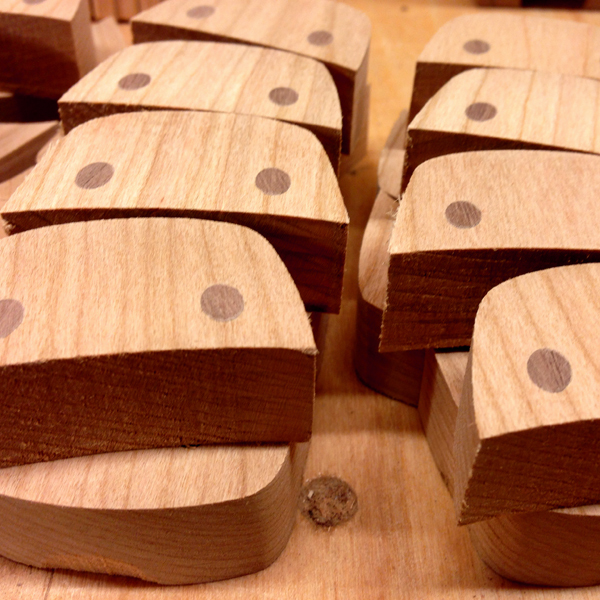 The eyes are glued into the slots. See the way they stick out and make a big gluey mess? 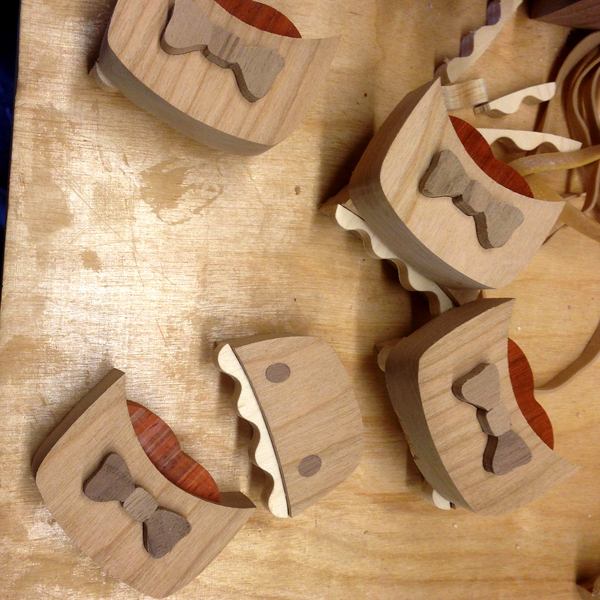 Then they are sanded down flush to the face. 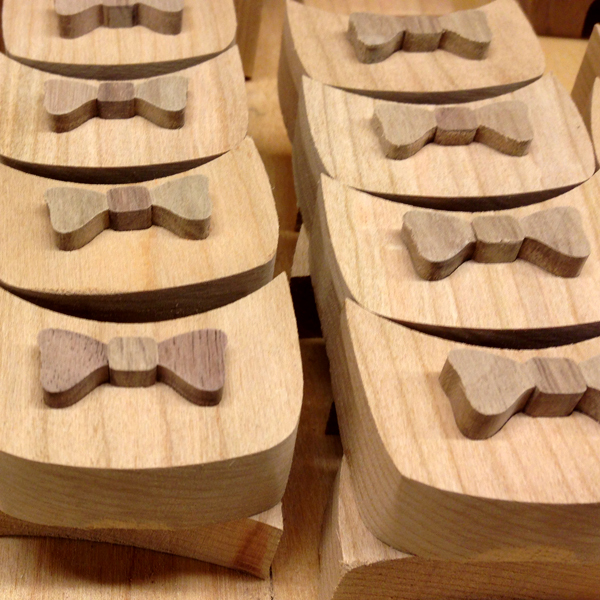 The bow tie is then glued into the slots as 3 separate pieces. This was a tough one to figure out in order to make them fit properly. The pieces are sanded to be level. 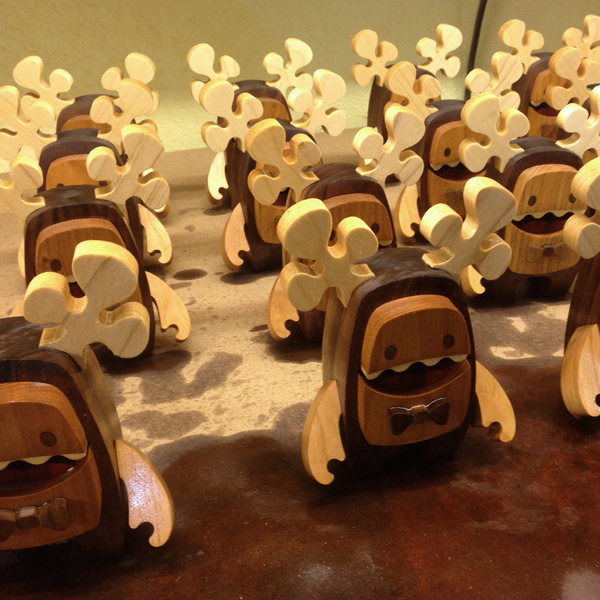 Each antler is fitted to each individual slot so that it fits properly. 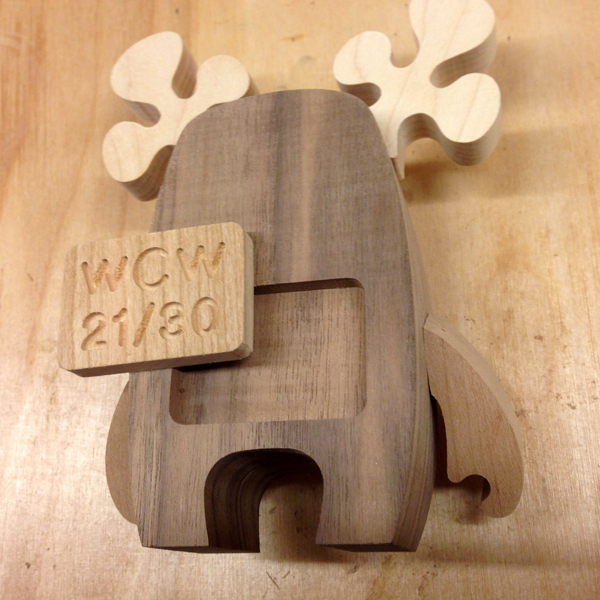 All antlers are paired by grain pattern and then glued in. 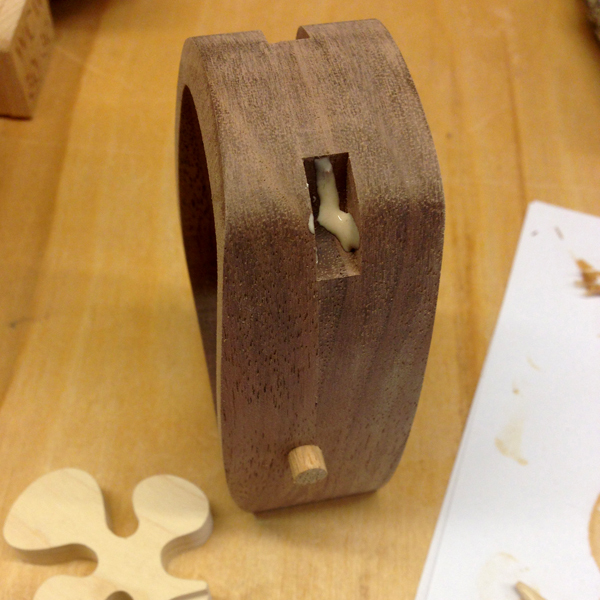 Oak dowel is glued into the drilled out hole on the side of the body. The arms are then glued on into place. I would like to figure out how to do arms that articulate properly however with the way wood expands and contacts with humidity I'm not sure that its possible to do really well, plus as the wood wears down it becomes loose. I'm going to experiment to see if I can come up with a viable solution for future pieces. The teeth and tongue are glued into place on the face pieces. The face pieces are then glued into the body. 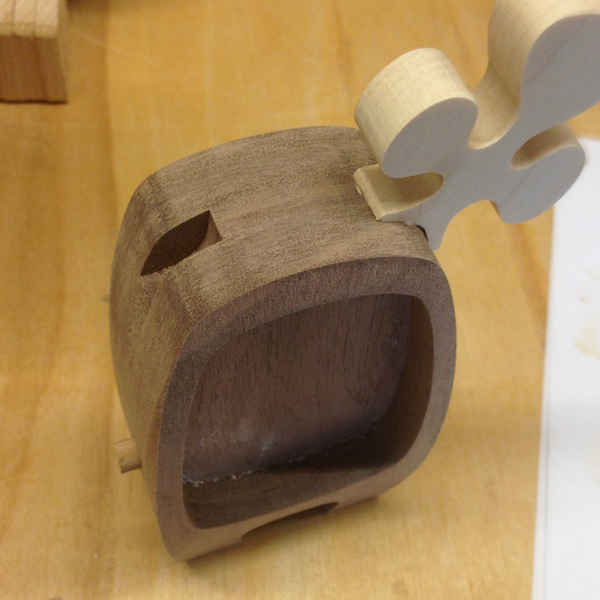 The engraved cherry number plate is glued into the slot on the back side and sanded flush. 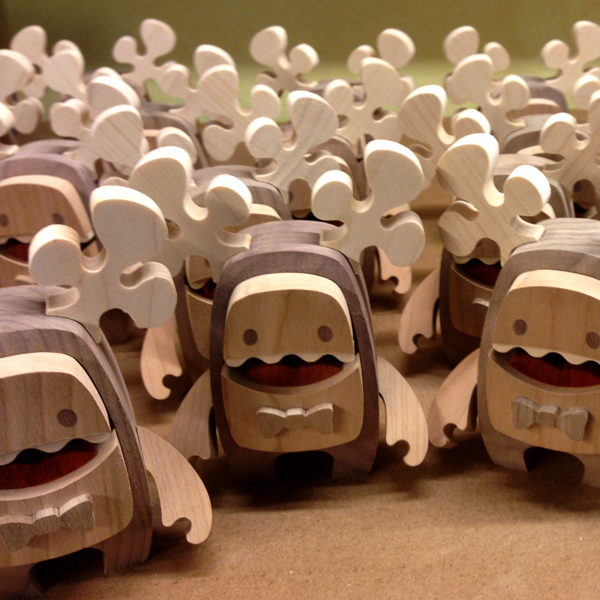 The assembly process is complete. 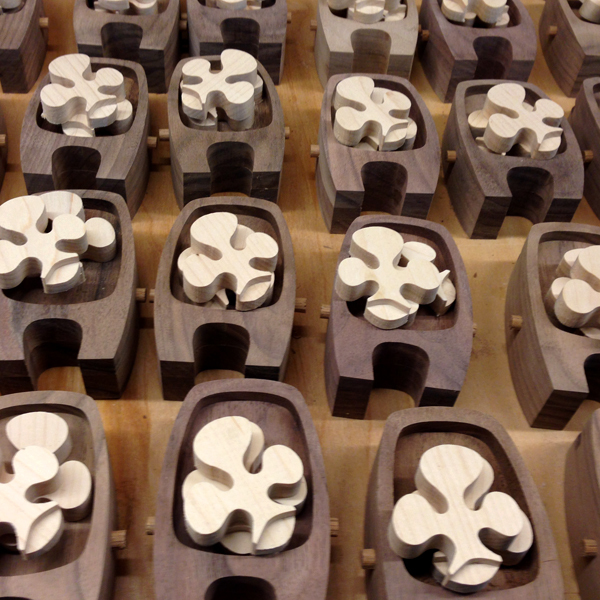 The pieces are ready to be oiled and waxed. Here are before and after shots. The color really gets deep and rich, and the gain pops with the application of oil.